From a stylistic and football smarts standpoint, there might not be a better model player for Denarius Moore to learn from than Randy Moss. Draft Breakdown’s Eric Stoner pairs the two on his depth chart. 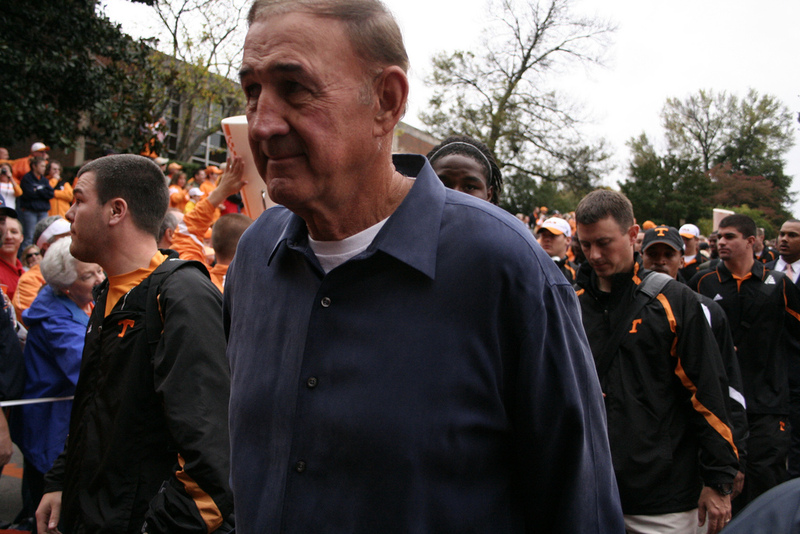 Photo by Wade Rackley. There was a lot of quality football knowledge emanating from the roster presentations and interviews last week. Former All-Pac-10 offensive lineman and Football Outsider’s columnist Ben Muth gave a mini clinic on assembling and scheming a power running game when presenting his team. The Guardian’s Cian Fahey demonstrated the confidence to take on a reclamation project at quarterback and arm him with young talent at receiver, and complement the offensive with a dangerous defense. And Dynasty Rogues writer Nick Whalen, a former high school quarterback with stints at four colleges as a quarterbacks, wide receivers, and defensive backs assistant coach, delivered the ultimate change-up and opted to invoke Mary Schottenheimer’s physical, run-based offense. I didn’t intend it to happen this way, but DraftBreakdown.com’s Eric Stoner begins the week of July Fourth with the most explosive offense we’ve seen at the RSP Writers Project to date. Ironically, Stoner wanted to build a power running team in the mold of Muth’s and Whalen’s squads, but just didn’t think the salary cap allowed him to get the players he wanted to use to assemble that kind of offense. His team exemplifies that thought that “necessity is the mother of invention.” Not that Stoner invented these concepts you’ll read about in this Q&A or that his team is without weaknesses, but I think he does an excellent job of integrating his schemes with his personnel and an even better job explaining it. Stoner is worried a bit about Randy Moss’ age and stamina, but not enough to leave him off his roster. Photo by The Brit_2. In short, we’re putting together an offense somewhat similar to the Packers’ and Eagles’ – a one-back, fast break, vertical passing offense combined with zone blocking principles up front. We want to be multiple in our formation versatility without having to make substitutions. Our primary personnel groupings will be 11 and 12, with 10 and 13 mixed in depending on situation and match up. We will not carry a true fullback on the roster (we will utilize a defensive tackle in that role for goal line packages only). In our base offensive set, Kevin Boss will be our inline tight end. Boss is a good blocker and can work the seams as a receiver. Aaron Hernandez will be featured as a movable chess piece. Wide receiver Malcolm Floyd will primarily be the split end and Randy Moss will also get some work there. If Moss has it in him, we’ll ideally feature him as a vertical stem slot receiver. Denarius Moore will be the flanker and split time with Moss in the slot. One of the formations I’m most intrigued with is a wrinkle the Packers run from a 3 x 1 receiver, trips set from 11 personnel. 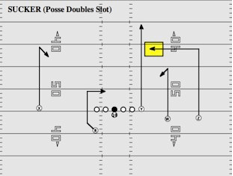 In this formation, they use their “Joker” tight end Jermichael Finley as the backside split end opposite trips. To the trips side, they’ll line up Greg Jennings as the inside slot receiver. With us, it’ll be Hernandez split as the “X” (split end) receiver opposite the trips side of the formation. On the trips side, Denarius Moore will be the inside slot man, Randy Moss will be the outside slot, and Malcolm Floyd will be the flanker. Splitting Hernandez to one side and then putting Moore as the inside slot on the opposite side with Moss and Floyd will force the defense to declare its coverage by alignment and leverage. If they try to bracket Hernandez with a defensive back over the top and a linebacker underneath, there’s going to be an extreme mismatch on the trips side. If they focus on taking away trips, Hernandez will exploit any defender with the exception of the truly elite safeties and corners of the league. No, Stoner didn’t bring Brett Favre or Ahman Green out of retirement. However, he is modeling his offense around the Packers and Eagles vertical concepts and zone blocking. Photo by Chess REO. Our running game will be almost completely devoted to zone blocking principles. During OTAs and the first two weeks of training camp, we will not practice any running plays besides inside and outside zone and all their variants like Pin and Pull and Slice. We’ll practice these against every defensive front imaginable. Eventually, we’ll add in a few Wham and Trap plays, but inside and outside zone will be our staples. As previously stated, we’re not going to make a living by sending lead blockers to the point of attack – we want to add gaps and distort the defensive front, allowing our running backs to find the cutback lane and get up field. Protection-wise, having multiple tight ends doesn’t limit us to traditional six-man protections that defenses using the fire zone blitz will eat for breakfast. Two tight end sets generally force defenses away from its exotic fronts and blitz packages because the offense has more protection options. 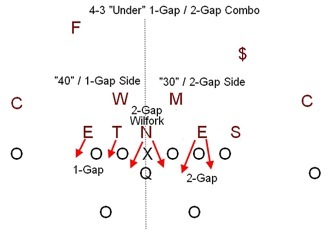 Everything we do in the drop-back passing game will be based off the Four Verticals Concept. With his ability to read the outside corners’ leverage and throw over the top or hit the back shoulder fade, there might not be any quarterback ever more suited to running Four Verticals in the NFL than Aaron Rodgers. Although the routes are vertical in concept, it is also a four-deep horizontal stretch with built-in options to make the defense wrong every time. Because of the innate pressure our Four Verticals defense places on the defense, our opponents will have to respond by playing mostly Quarters and Man-Under defense. As you can see in the Four Verticals picture above, the slot receiver has a variety of options on his seam read and the outside receivers have the option to run a fade-stop if the corner is overplaying deep. In other words, Aaron Rodgers and the receivers read the corner’s coverage and can opt to run the back-shoulder fade any time. Concurrently, almost all of our drop-back passing will feature vertical stems. Every pass play will essentially look the same post-snap until the receivers make their actual breaks. The receivers will burst up field as if they’re running the Four Verticals and we’ll be looking to isolate the safeties a lot and hit “Dagger” and “Sucker” concepts with regularity. Between the threat of getting beat over the top and giving up chunk passing plays in the middle of the field 15-20 yards down field, we’re going to drive safeties up the wall. The “Sucker” route concept. Stone will use this play because every routes begins vertically until the receivers make a break. 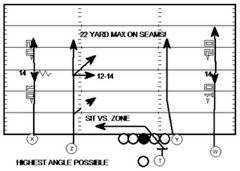 It looks exactly like Four Verticals, but is designed to attack coverage designed to defend the Four Verticals Concept. Photo courtesy of the National Football Post. Our major constraint to the Four Verticals is how we use the runningback or tight ends as leak options. However, when we use these players the right away, defenses will have a lot to think about. What can be absolutely devastating for a defense in quarters or man-under coverage is when we call designated screens for the running back or our tight end Hernandez. The underneath defenders are often coached to carry the inside vertical receivers deep and get in the throwing lane, or they will start to cheat towards this tendency. When we feel these defenders are bailing too quickly, we can get the ball to an athlete in space. Since we’ll be running so much inside and outside zone in the run game, the bootleg will also be a prominent feature of our offense. It does two things: keep the backside defensive end guessing run versus pass, and it puts the any hole or robber defenders in a run/pass bind with the run-action and a crosser behind them. This offense needs a few things in order to run as smoothly as possible – a smart quarterback that understands defensive leverage and isn’t afraid to throw into tight windows. It also helps if he is nimble and has a big arm. We need speed and ball skills at the receiving spots. Our slot receiver needs to be as smart as the quarterback because he’ll be running a lot of seam-reads – vertical option routes. Our running backs need to be able to hit the hole and go. They’ve got to keep dancing in the backfield or bouncing it outside on every play to a minimum. If they make their reads, the hole/cutback lane will be there damn near every time. For our offensive line, it is more important that they’re able to work together well as a unit and execute their tandem blocks. They don’t need to be killer drive-blockers and pullers. Specifically for this team, Aaron Rodgers is the one that makes everything go. I’d be a little concerned about how this offensive line will perform in pass protection, but we’ve got the right quarterback and enough tight ends to compensate for most issues they might have. We’re not going leave our guys hanging out to dry on the edges. As previously stated, if we’re getting blitzed off the field, our multiple tight end formations will get defenses back into their boring, base packages. One guy I’m making a huge gamble on is Randy Moss. In this offense, he’d be my slot receiver for a few reasons. We can get him a clean release off the line this way and allow him to build up speed without defensive impediment. Second, Moss is incredibly football smart, and he can devastate defenses off the seam-read concepts. Third, this offense requires the receivers to run a lot, even when they’re not getting the ball. Due to his age and hot-and-cold effort, we’re going to monitor his snaps. We’re putting him in an offense that asks him to run vertically and to go where the defense isn’t, as well as catch passes from Aaron Rodgers. I think he’ll be motivated. If he’s got anything left in his legs, he’ll be devastating. At the very least, he can be a poor man’s Jordy Nelson, right? The young pass-catching duo of Denarius Moore and Aaron Hernandez are going to be the moveable chess pieces that make the offense go. Both guys are ridiculously athletic and have great ball skills. Ideally, Moore will develop into a Greg Jennings-type receiver and Hernandez will be moved all over the place. Pete Carroll is Stoner’s pick as his head coach because of his knowledge of the defensive schemes Stoner wants to see the team use. 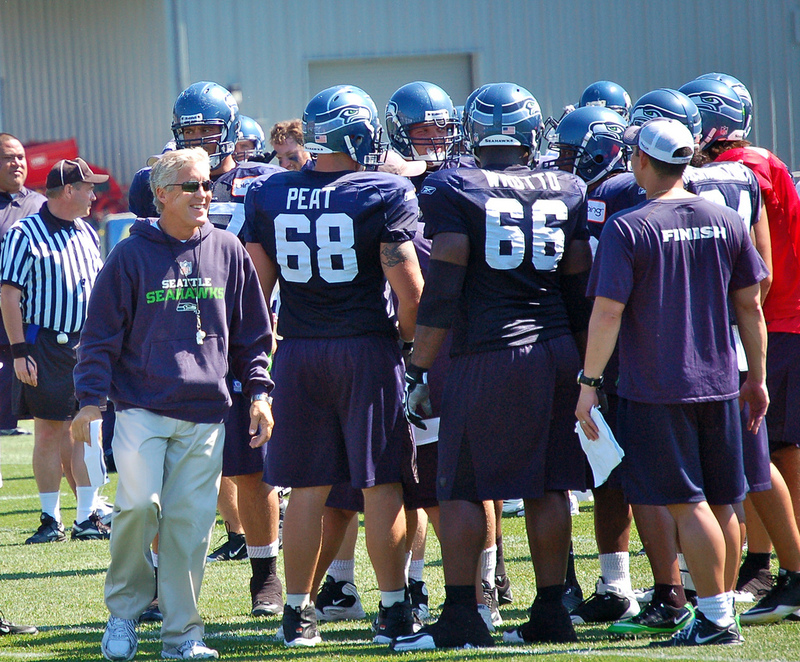 Pete Carroll is going to be my head coach for two main reasons: I love his defensive scheme (we’ll get to that later), and he doesn’t seem to be influenced by “office politics.” For the most part, the best players will play – regardless of reputation or salary (cue the USC jokes). I think Oregon Head Coach Chip Kelly was born to run this scheme. We’ll pay him whatever it takes to come in and have complete control of the offense – a way for him to test the waters for a season or two before taking over his own NFL team. He’ll love the fast-break tempo of the offense, he loves Four Verticals and pass concepts that feature vertical stems, and the zone blocking scheme combined with the zone bootleg is a conceptual predecessor to the zone read option he ran at Oregon. One of the main reasons I want Kelly is that the time limits imposed on colleges requires complete efficiency in everything they do. Kelly’s program at Oregon is most noted for being revolutionary in terms of speed and efficiency permeating every aspect of the Oregon program. The breakneck speed of their offense is the result of the tempo and efficiency of their practices and the simplicity of their play calling system. Starting with the lockout last year and carrying forward with the new practice limitations imposed by the CBA, coaches are going to be getting way less time on the field than what they’ve ever been used to. When you combine these factors – reduced practice time and the evolution of offenses towards being high-tempo, fast-break, no-huddle schemes – it only makes sense that NFL coaches are going to start teaching more like college coaches. As for the offensive line, we’ll bring in Howard Mudd – the longtime Indianapolis offensive line coach who installed the zone blocking scheme for Philadelphia last season that helped lead the way for Lesean McCoy’s breakout year. Considering that Kelly’s entire option game is based off inside and outside zone principles, I think that these two will really enjoy working with each other and tinkering their zone rules to get every possible advantage they can in the running game. The 4-3 Under defense, Stoner’s base defensive front. Photo courtesy of Trojan Football Analysis. The 4-3 Under defense was made incredibly popular under former Minnesota and Tampa Bay (and current USC) defensive coordinator Monte Kiffin. As a side note, Carroll actually learned the 4-3 from Kiffin when thy were both assistants under Lou Holtz at Arkansas. It’s a one-gap defense: a 4-3 shifted to the weak side in order to get the three-technique and flex side end isolated, one-on-one match ups. The strong side linebacker walks to the line of scrimmage and plays a hybrid type role. He must set the edge in the run game, rush the passer, and drop into coverage. In nickel fronts, the strong side linebacker’s skill set will lend itself to playing base defensive end. Ahmad Brooks will play this role for us – a role he played at an exceptionally high level for San Francisco. Another benefit of the 4-3 Under defense is that the middle linebacker and weak side linebackers’ reads, responsibilities, and alignment doesn’t really vary from the nickel package. The 4-3 Under defense has gone through an evolution of sorts over the past decade – it’s the forefather of virtually every “hybrid” scheme you hear about these days. As you can tell from the picture above, all you have to do is stand up the flex defensive end and widen him from the line and you’ve created a 3-4 look. That look is basically what constitutes Wade Phillips’ defensive scheme – a 3-4 with one-gap principles. The 4-3 Under front doesn’t just allow versatility in how you line up the edge players to create multiple looks. What makes Carroll’s version of the Under unique is that he combines 1-gap and 2-gap principles in the same play to opposite sides of the defense, which is something that Bill Belichick started experimenting with during the 2011 season. Carroll has been running this hybrid one-gap/two-gap scheme since he was at USC. Carroll started toying with it to combat Oregon’s speed, but junked it after saying it was causing his players to think too much. I don’t remember the exact quote, but it was towards the end of his tenure at USC. He’s busted out the one-gap/two-gap once he returned to the NFL and the scheme seems to have found its place in the league. As you can see, the nose tackle and base defensive end need to be two-gapping monsters to pull this off. Photo courtesy of Chris Brown. Due to the talent and depth we have in the defensive backfield, we’ll be able to be “multiple” on the back end for our sub packages at an incredibly difficult level for offenses to handle. Depending on match up and situation, we can go “Little Nickel” (four cornerbacks and one safety) or “Big Nickel” (three safeties and two cornerbacks). This is just scratching the surface of what Carroll does defensively. For a more detailed analysis on his fronts and concepts, I’d check out this writeup by Danny Kelly of FieldGulls.com. I can’t wait to ask Jene Bramel about Dwight Lowery because thus far, he’s considered a huge bargain and I tend to agree. Photo by Fling93. What will make this particular unit unique to any that Carroll has run before will be the ability to put his corners on an island with little/no help and do whatever he wants with the rest of the defense. Derek Cox will primarily play right cornerback. He’s big, physical, athletic, and is developing into one of the better press-coverage corners in the NFL. Revis and Janoris Jenkins can switch up between lining up over the slot or the left outside spot. If needed, we won’t hesitate to line Revis up over a Joker tight end, either. I’m incredibly proud of this safety group, though, especially for the cost. Danieal Manning and Dwight Lowery were both hugely important in helping the Texans and Jaguars respectively vault up the pass defense rankings. The Texans and Jaguars were ranked 31st and 32nd in pass defense in 2010. They climbed to the 3rd and 8th spots in team pass defense in 2011. 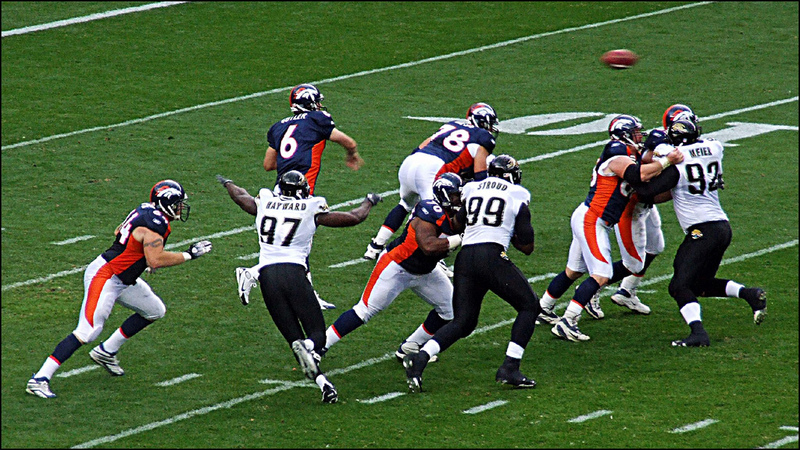 Manning, according to Pro Football Focus, was one of the surest-tackling safeties in the NFL versus both the run and pass. He’s not a devastating hitter, but he’s rangy and super reliable. Lowery spent the early part of his career playing nickelback and safety for the Jets before getting traded to the Jaguars right before the season started. He was inconsistent in his first full year at safety, but his background at corner lends him to having some great performances against Joker tight ends in man coverage. Craig Steltz is my third safety and will come on the field in Big Nickel packages. He’s been a great special teams performer early in his career, but expanded his role in Chicago this year and played very well. 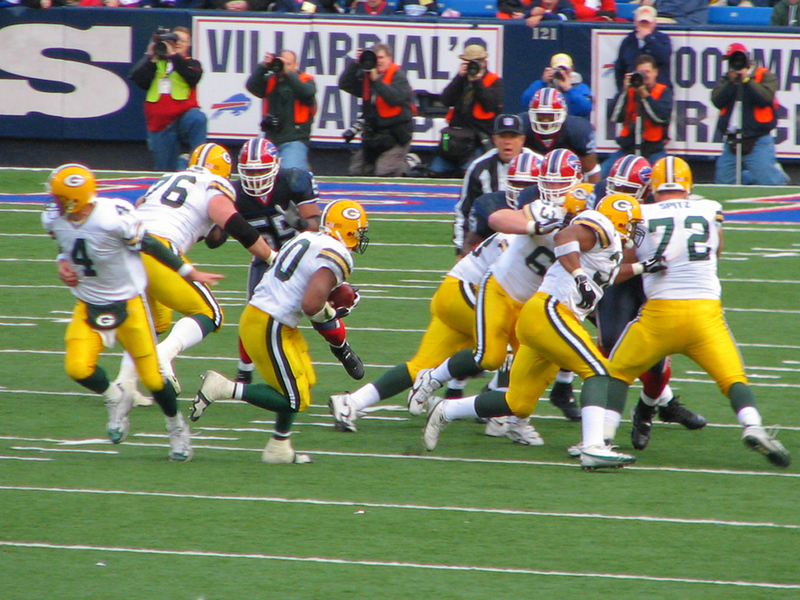 The featured player in the front seven for Carroll’s defense is the flex side defensive end, which is also called the “LEO” or “Elephant.” In the Kiffin/Dungy version of the 4-3 Under, the flex defensive end was a hand-in-the-group edge rusher – Simeon Rice in Tampa and Dwight Freeney in Indianapolis. An example of the stand-up LEO from a 3-4 Under would be DeMarcus Ware when Wade Phillips was the head coach in Dallas. For us, the LEO will be Robert Quinn, a second year defensive end from North Carolina that’s dripping with pass rush potential. In order to run the hybrid two-gap/one-gap scheme effectively, you’ve got to have rocks at the nose tackle and base defensive end spots. Terrance Knighton, a squatty 6’3″ player whose weight fluctuates between his listed 335 to (what looks like) north of 350 pounds, is the ideal nose tackle for this scheme. When he’s on his game and has his weight under control, he’s shown the capability of shutting down other teams’ running games by himself as a one-technique nose tackle for the Jacksonville Jaguars (he’s been a far better and more important interior presence than Tyson Alualu thus far). Knighton’s snap count needs to be monitored to maximize his effectiveness, but he’s got the potential to be a star in the middle of this defense for $500,000. Although Knighton suffered a detached retina during an altercation at a night club, he projects to start the season with no setbacks or issues. Stoner won’t be looking for Monte Kiffin, probably because he’d have to pry him away from son Lane, but he’s the grand daddy of the 4-3 Under that Stoner’s team will use. Photo by Wade Rackley. Pete Carroll, obviously. Ideally, I’d like to get Raheem Morris to be the defensive backs coach. We won’t be able to keep those three cornerbacks forever, so we need someone who’s excellent at developing cornerbacks that can play press coverage. Where do you believe your offense is vulnerable in terms of system and personnel? 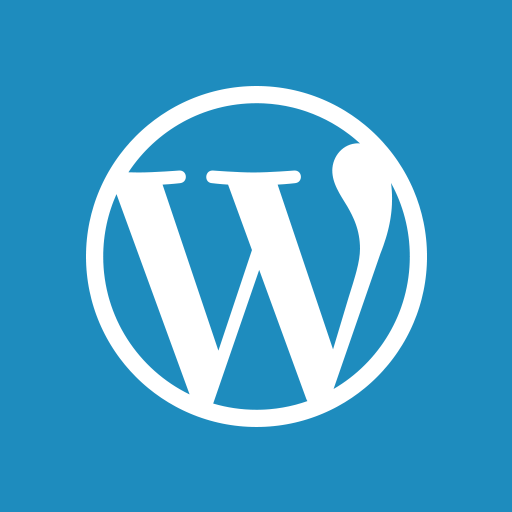 What specifically have you done to minimize the impact of those vulnerabilities? It goes without saying that if Aaron Rodgers goes down, we’re screwed. I like Chandler Harnish’s potential as a developmental prospect, but we’re in major trouble if he’s playing for an extended stretch his rookie year. While only required to have two quarterbacks on your depth chart, the drop off from Rodgers to Harnish seems like base jumping below the required height for a chute to open. Why are you only carrying two quarterbacks? Where did you invest in depth as a result of skimping on QB? Stoner considered Jay Cutler (I’m considering him seriously for my team) for his team, but ultimately decided to go all-in on Aaron Rodgers. Photo by Jeffery Beall. On previous rosters I had put together, I was mostly going with Newton ($16) and Cutler ($15) as my quarterbacks. Due to their cheaper price tags in comparison to Rodgers ($20), I had a bit more flexibility for my backup spots. I decided to spend the extra few dollars on Rodgers for two main reasons: there are literally zero holes in his game and he’s capable of running any offense. So down the line, we can tailor the offensive system to whatever peripheral surrounding talent we have. Secondly, he’s in the prime of his career and it best player in the NFL – hands down. We don’t have to wait for him to take a few steps forward in development (a la Newton), and he’s not as streaky as a guy like Cutler. Shaving off that extra $1.5 million in backup depth allowed me to make one upgrade I really wanted – getting Janoris Jenkins as my third corner. The $4.5 million area has a LOT of really good players for nickel corners (I had been cycling through Brandon Boykin, Sam Shields, Ronde Barber, etc), but Jenkins was a guy I really wanted on this roster. I’ve found myself sharing the same quandary with quarterbacks and nickel corners – Cutler, Boykin, and Shields are all players I’ve been cycling through, too. But let’s specifically get back to the quarterback position. What is it about Harnish that you like and dislike? As a guy that specializes in evaluating quarterback play, I’m curious what you like about the former NIU starter and why he potentially fits your offense? 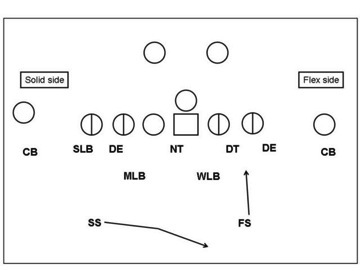 The beautiful thing about using Four Verticals as our base pass concept is that it dictates coverage. You’re putting a field-wide horizontal stretch on the back-end of the defense, which (theoretically), should keep the safeties in umbrella coverages like quarters or man-under. Secondly, our play-action game is going to prominently feature zone-bootleg concepts. Harnish is athletic enough to get to the outside the pocket, where we can give him some easy, half-field reads on the move (which is where he’s most comfortable). Screens will also be featured heavily in terms of constraints on the defense – we can leak out a back or tight end on Four Verticals, and play bubble-screen games with the slot WR (http://www.downthedrive.com/2011/9/29/2458409/the-play-action-bubble-screen-and-the-constraint-theory-of-offense) to help open the run game up and get defenders out of the box. So, if we can get him to run Four Verticals and the bootlegs with enough consistency to keep the defense honest, we can feature the running game more, hide him, and maybe eek out a few wins. Would he be able to step in down the stretch of the season like T.J. Yates did last year for Houston? Doubtful, but you never really know how quickly a guy will pick your offense up. The tools are all there – he’s throws with good velocity, he’s very athletic, and he was highly productive in college. He’s got scatter shot accuracy, however – how coachable that issue is for him will determine how long he plays in the league. But he’s absolutely got the tools to stick around. Where else do you have concerns? I’ve got a couple of concerns with the offensive line – depth primarily, and whether the tackles can handle the edges on consistently on deeper drop concepts. Brandon Albert’s conversion from college guard has been up and down. He was one of the league’s worst pass blockers in 2010, but greatly improved his pass blocking efficiency in 2011 (for additional evidence, check out Kansas City’s offensive line rankings running the ball to the left edge and left tackle as opposed to up the middle or to the right: sixth in the NFL off left edge, first in the NFL off left tackle, 32nd up the middle, 27th off right tackle, and 25th off right edge). I’m trying to mitigate any potentially issues with Albert by carrying a lot of tight ends. As previously stated, base sets with multiple tight ends gives you more protection options – in response, defenses get away from their exotic pressures and into their predictable, conservative base packages. If our tackles are getting killed off the edge, we can give them help. We’ll adjust and not hang them out to dry. Not to mention, we’ve got a quarterback with mobility and an elite sense of timing. Tell me more about about Branden Albert. Cian Fahey’s team is moving him to guard where he was frequently projected as prospect. What did you feel got better about his game at tackle in addition to the statistical information you provided? He’ll still struggle with pure speed off the edge, but the game is starting to slow down for him mentally (or so it seems). While we never really know protection calls, it appears that he’s not having as many blown assignments or straight up whiffs in pass pro. One of his most impressive games this season was against Jared Allen. Allen recorded two sacks, but Albert gave up zero pressures, hurries, or sacks (Cassel essentially sacked himself twice, which he’s prone to do and most of the hurries/hits came off the right edge). I think the Cassel factor is very important, as Albert did not cede a single sack (and his pressures/hits drastically dropped off) once Cassel was lost for the year. Some of that has to do with the offense throwing as little as possible and off of quick drops when Palko started a few games – but the trend stayed consistent over the last three games with Kyle Orton in the starting lineup. Our offense features some deeper drop concepts and route combinations, but that doesn’t mean we’re going to put our tackles on the edge with no help on constant seven- step drops like the Martz offense. Any other concerns along the offensive line? As for the guards, Antoine Caldwell doesn’t have a ton of experience. But he’s played well when given the chance and has been groomed to play in a zone blocking scheme in Houston under Gary Kubiak. Wade Smith is inconsistent at best. I felt like it was more important to get a good center who can identify defensive fronts and handle nose tackles than spend money on guards in this scheme. Do you think your guards will handle double-A gap blitzes okay? I’m not so much concerned about double-A gap blitzes/pressure so much as I am about double-A gap looks pre-snap. Rodgers is good enough to get out of the pocket and make plays vs interior pressure. However, those “Sugar” looks could wreak havoc for us in terms of what it will do to the protections. There is nothing more disastrous than immediate pressure up the middle, so when a team shows double-A gap pressure pre-snap, the offense must account for it in their protections. Knowing that the offensive line will respond by calling protection schemes with inside help, the defense now has more options to get an edge rusher isolated one-on-one against our tackles (or even worse, a tight end or back). Rodgers and our center have to be excellent in terms of understanding the defense’s fronts and tendencies – where do they like to bring pressure out of their looks, how are they trying to deceive us, and what gets them to not play so aggressively (or, how can we take advantage of their aggression). Any other positions you have concerns about? The wide receiver group isn’t exactly a testament to youth and good health, but Hernandez’ ability to play multiple spots gives us some flexibility if or when injury strikes. Losing Hernandez for an extended period of time would seriously limit the offense in terms of flexibility and most likely lead to a slower tempo. Should James Hanna and Lamar Miller develop quickly in the passing game (and both have the natural talent/skills to contribute as receivers early on, it only makes the offense more flexible – and deadly. Lastly, we’re going to see a TON of quarters and man-under coverage, and we’ve got to be able to run the ball against that. It’s not something I’m overly concerned about, but Miller and Ivory have some injury concerns. Where do you believe your defense is vulnerable in terms of system and personnel? What specifically have you done to minimize the impact of those vulnerabilities? If Ledger Douzable can’t effectively two-gap as a base defensive end (he doesn’t have to be Red Bryant, but he’s got to hold the point) and we lose Knighton (or he doesn’t show up, which he’s prone to do for some games), we’ll probably have to scrap the two-gap/one-gap concepts and strictly run the one-gap stuff. Concurrently, Knighton, Hawk, and our committee at Base End need to stop the inside run pretty much by themselves. This group’s certainly capable of doing it, but will they do it consistently? If a team is having a ton of success running the ball against us, we can always have our safeties start unloading on the run game. We’ve got corners that can hold their own in pretty much any situation. Jenkins, obviously, has some off-the-field concerns. You don’t have any real star caliber players at linebacker. Tell me more about the scheme and players you have and why you feel okay with your personnel. On a really simple level, it’s still the same Monte Kiffin stuff in the front seven – our defensive line does the work and if they do their jobs, our linebackers should be able to just run and hit. 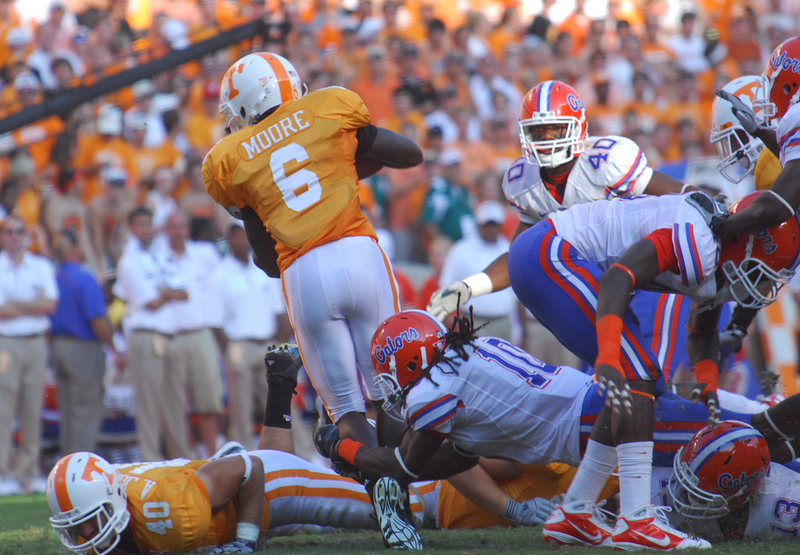 We’re asking our linebackers to do even less than what Monte did, however, especially at middle linebacker. Remember, one of Monte’s big features was a middle linebacker who could play deep center in Tampa Two coverage. Here, we can go man coverage with anybody on the back end, which will allow our linebackers to either play Robber, read the quarterback’s eyes, and break on the ball. I also like the two-gap/one-gap combo stuff with this linebacking group, especially for Hawk. He’ll be lined up over a guard with a true nose tackle and five-technique in front of him. If they’re able to two-gap to that side, Hawk won’t be doing anything different than what he’s done for Green Bay as a 3-4 inside linebacker. 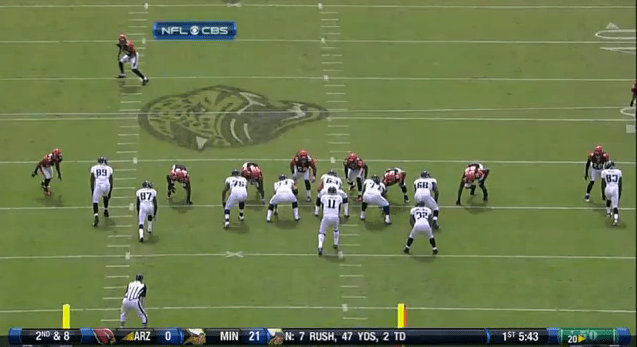 Same goes for Ayers at weak side linebacker on the one-gap side. He’s only in his second year, but he’s got major potential as a run-and-hit weak side linebacker. The strong side linebacker is a jack-of-all trades. He’s got to set the edge in the run game, rush the passer a little, and beat up tight ends at the line of scrimmage. He doesn’t have to really excel at any of those things, but it’s important that he can hold the edge in the run game. The more he offers as a pass rusher, the better off we are, and the more playing time he’ll receive (as a defensive end in nickel). Is it possible Ahmad Brooks looked great due to defense around him? How did you discern the difference? In a short answer, yes. He’s one of those guys whose career has been marked by inconsistency, and he finally had his “breakout” season last year. With just one season of heavy snaps and production, you always have to question the circumstances surrounding the breakout year. Did he finally put it altogether, or was it a fluke of sorts? Finally, the SLB spot is important, but not necessarily integral. He’s got to do a few things and do them well, but we don’t need him to be an unstoppable force that offenses must account for. Rodgers is the best player in the NFL. We don’t have expensive talent around him, but we’ve approximated the type of weapons he has in Green Bay (Malcolm Floyd/Randy Moss as Jordy Nelson, Denarius Moore as Greg Jennings, and Aaron Hernandez as Jermichael Finley). Lamar Miller is a perfect fit for the zone blocking scheme we’re running. If he can pick up pass protection concepts quickly, he can do for us what Clinton Portis and Edgerrin James did for the Broncos and Colts, respectively. Defensively, we have three corners that don’t need help. I can’t stress that point enough, because it allows us to cover up any flaw or hole that should arise in the defense. Revis can literally do anything, and Jenkins was absolutely phenomenal at Florida. 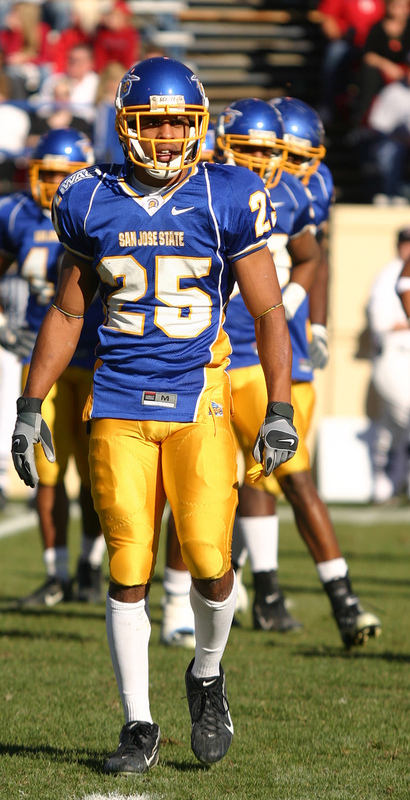 During his junior season, he famously shadowed and shut down A.J. Green and Julio Jones – and mixed it up in the running game against Trent Richardson. Robert Quinn has a ton of potential as our LEO. He’s going to be moving forward 95 percent of the time, hopefully racking up the pressures and sacks. Both running backs (Miller and Ivory) have a ton of potential. Miller has ridiculous speed and acceleration and was born to run outside zone. He also has soft hands. Ivory is like a bull in a china shop. He’s a very talented runner who’s a load to bring down. Neither is much of a pass protector at this point, and Ivory has no receiving skills of note. If they both take steps forward and become reliable pass protectors, this offense could be unstoppable. James Hanna has serious potential as a receiving tight end. He and Hernandez could develop into a devastating pair. What is it about James Hanna’s potential that you like in addition to his size and speed? He’s got very good ball skills as a vertical threat. Not so much if you’re sending him over the middle and into traffic. With that in mind, he’s definitely more receiver than tight end right now. A linebacker who can maul him at the line of scrimmage is going to take him out of the game. But we can carve out a role for him early as a “move” tight end to get him in space. Who else do you like on your team from a “potential” standpoint? Bobby Massie was a favorite of the Internet draft community – and a favorite on these early RSP Writers Teams as well. We’re hoping he can develop into a starting tackle for us. Emmanuel Sanders and Louis Murphy are both guys who have gotten buried on teams that are stacked at receiver. Health permitting, hopefully one of them can develop into a long-term starter for us. Pernell McPhee was an incredibly productive nickel pass rusher as a rookie for Baltimore last year. We’re hoping he can handle the starting role as our 3-Technique, pass rushing Tackle. Allen Bailey is another player who showed potential as an interior nickel rusher. We’re going to continue playing him as a nickel defensive tackle, but we’ll also start developing him to play base defensive end. Shea McClellin has a ton of versatility and we’re going to take advantage of that. During his rookie year, we’ll ease him in by having him back up Quinn at LEO. Once he gets his feet wet, though, we think he can be a long-term starter at strong side linebacker. 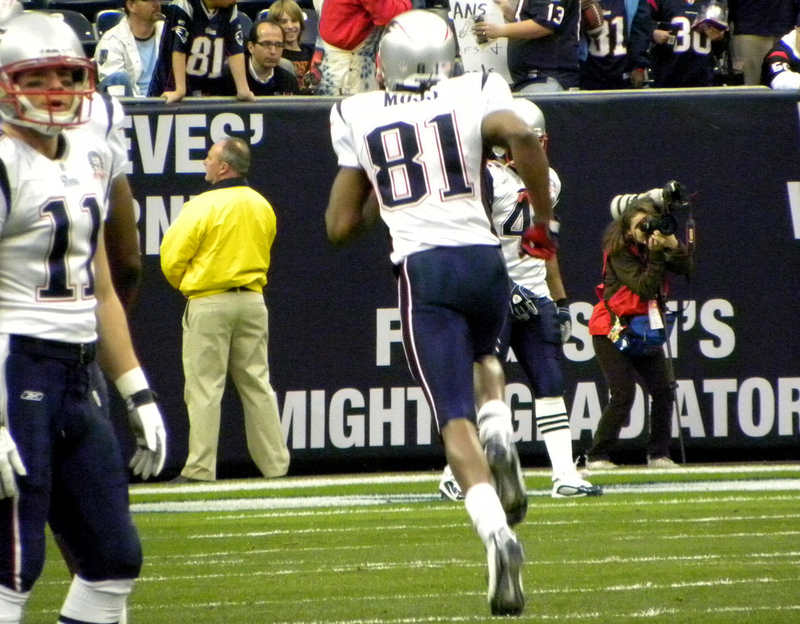 Randy Moss, if he even does anything for us this year, is obviously a huge question mark for 2013. Same goes for Cotchery. Ahmad Brooks had a career year in 2011, but if he regresses, he could lose significant playing time to McClellin. In real life, it’d probably be very difficult economically to keep those three corners together for more than a year or two. Cox has been very injury prone, so he’d likely be the odd man out, but Jenkins’ off-the-field concerns could make an appearance. I liked Marsh’s press man skills coming out of Utah State, and hopefully he can be a long term replacement when one of the corners leaves. I’m on of “those guys” who thinks that Power O is god’s gift to football. As such, it was somewhat painful to build a team using value pieces on the offensive line, interior defensive line, and linebacker. In essence, I had to become a man whose teams I’ve always respected but turned me off philosophically: former Colts GM Bill Polian. Because I believe you did a nice job of building a vertical offense, I found it surprising and humorous that this project forced you to take this track opposite your desire to build a Power O like Ben Muth or Cian Fahey. Did you try to build a team with a Power game and abandon it? If so, who were some of the players you were coveting or had on your squad before scrapping the concept? I toyed around with a team that would feature Power O, but junked it pretty quickly after seeing how much cap space I had to devote to the offensive line and tight ends alone. I’ll probably give it another go in a couple weeks. I knew that with that offense, I’d have to sacrifice at quarterback, so I went with Ryan Mallett. Considering I was building an iron wall up front, I felt confident that the OL group could keep him clean (I also had Vernon Davis and Dwayne Allen as tight ends). You’re going to appreciate certain aspects of my team, then…Based on your roster what type of playing facility would you want as your home stadium (describe the facility as outdoors, indoors, turf, grass, climate)? This also saddens me, but indoors (retractable roof at least, please) on turf. Moss and Malcolm Floyd. There is speed and ball skills for days in this receiving group, but all of them (besides Moore) are ticking time bombs in terms of injury. Our offensive line, in general, is made up of value picks whose limitations we’re hoping to scheme around. I’ve got more faith in Albert than a lot of people. He really was one of the most improved players in the league from 2010 to 2011. Also, I’m only carrying three offensive tackles, so we’re a couple of injuries away from major problems there. If Aaron Rodgers goes down for an extended period, things could get ugly. Name three risky personnel selections on defense and explain why (talent, off-field, age, injury, fit, etc.). Janoris Jenkins’ career could go up in smoke (sorry for the bad joke). Derek Cox has trouble staying healthy. Knighton has weeks where he plays like the best interior lineman in football, but has weight/motor issues. Our pass rushers are very young and could hit a wall developmentally. Base End is kind of a question mark as well. A rotation of Douzable and Bailey rotating in the base set with Brooks playing there in nickel could rank between (slightly) above-average and poor. A.J. Green or Calvin Johnson. A more surefire tight end to pair with Hernandez. Justin Smith to play base end. DeMarcus Ware to play LEO. Fletcher Cox to play three-technique. Revis, Lowery, and Knighton. Lowery and Knighton, especially, were perfect fits for what I want to do schematically, and I gladly would have spent a few more points on either of them. Other than the decision to not carry a quality backup quarterback, this roster is exactly what the NFL is moving towards. A stable of young pass rushers, premium talent in the defensive backfield, a “Joker” tight end, receivers who are “scheme fits” whose sum is greater than the parts, running backs with young legs, and a zone blocking scheme which, combined with a mobile quarterback, allows you to get some value pieces on the offensive line for cheap. The two guys running my team have had most/all of their success coaching in the collegiate ranks, but I’ve explained my reasoning for it and no, we will not run any option with Aaron Rodgers, whatsoever. Coming Soon: Bleacher Report Draft Analyst Matt Miller’s team.